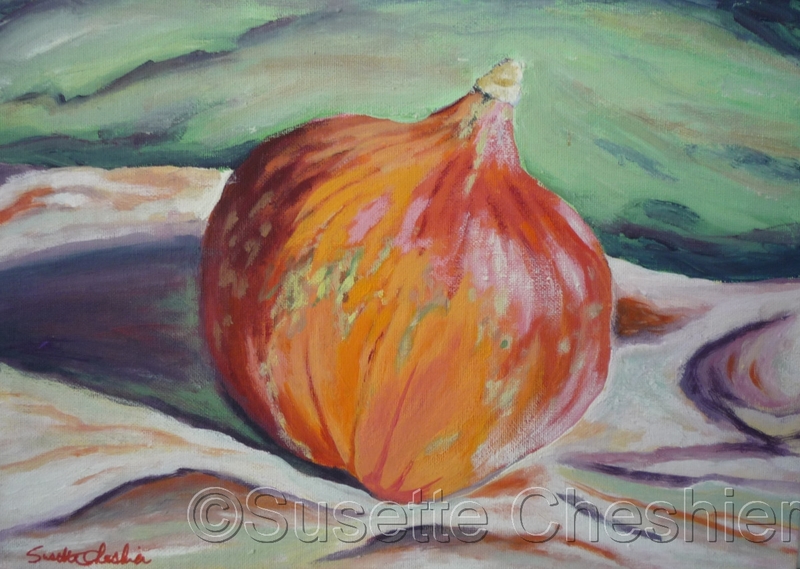 Large orange squash painted in gouache on board. Realistic still life of orange, reds, and greens. 5" x 7"7" x 9.75"9" x 12.75"11" x 15.5"13" x 18.25"13.75" x 19.25"